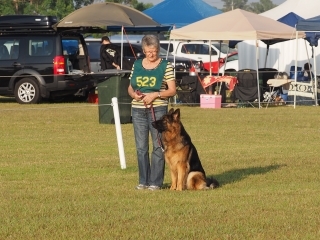 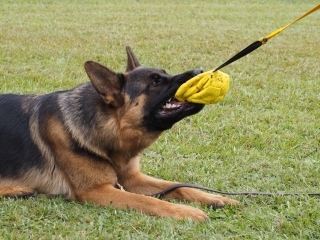 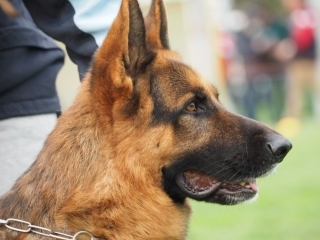 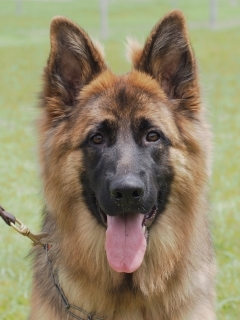 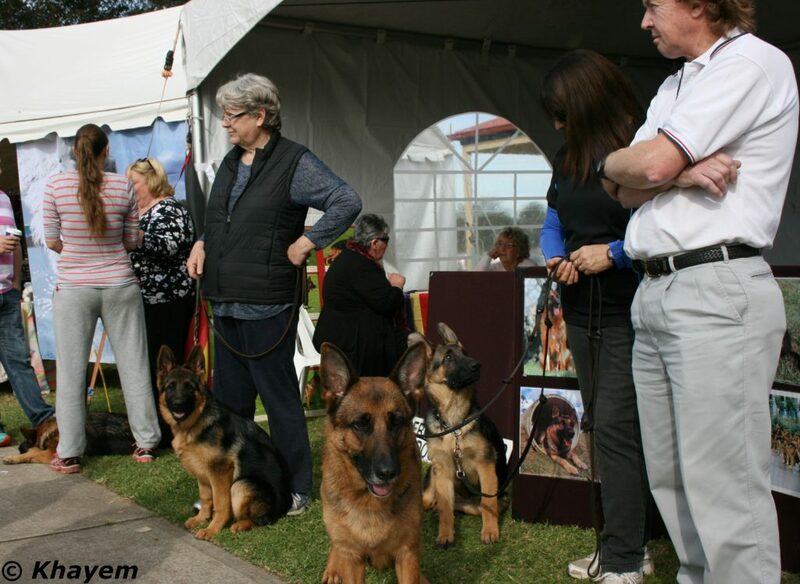 The German Shepherds were very popular with the public and the Events Management Team, pictured below. 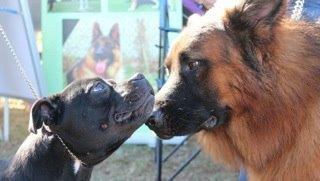 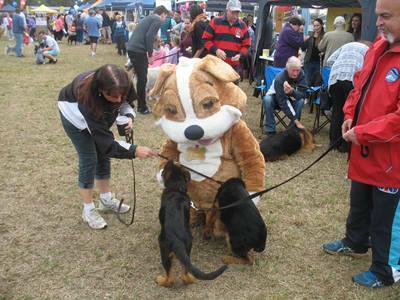 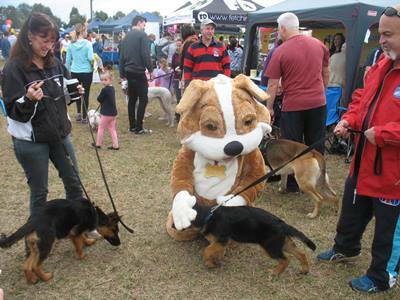 The main promotional event of the year was Sydney Dog Lovers held at Moore Park on the 4th and 5th August. 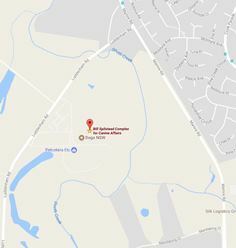 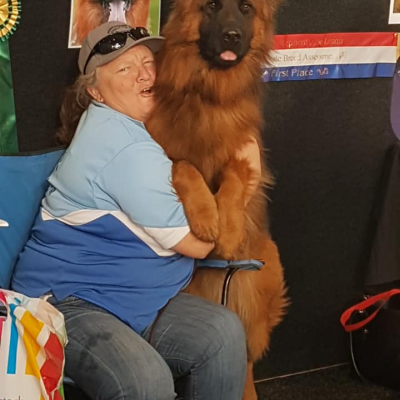 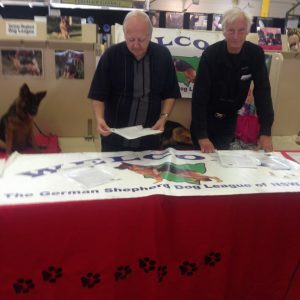 At this event Graeme Stevenson gave a 15-minute session at Ask the Breeder about the breed on both days and Kathie Minton talked about obedience training on the Saturday and Yvonne Spek spoke and answered questions on the Sunday. 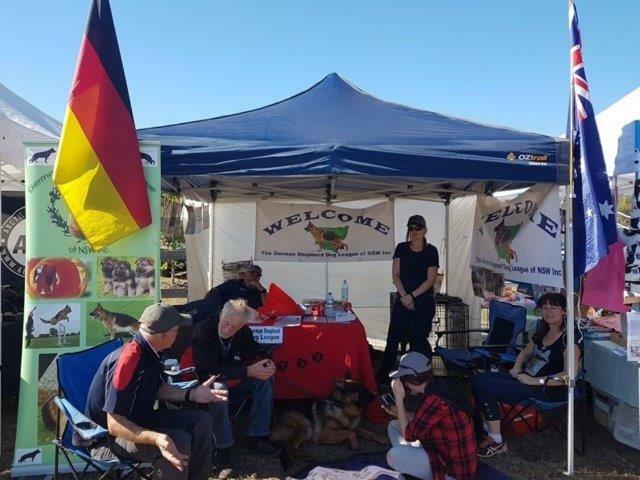 It was a great team effort over the two days and with setting up and packing away enabling all to be out of the venue just after 6pm. 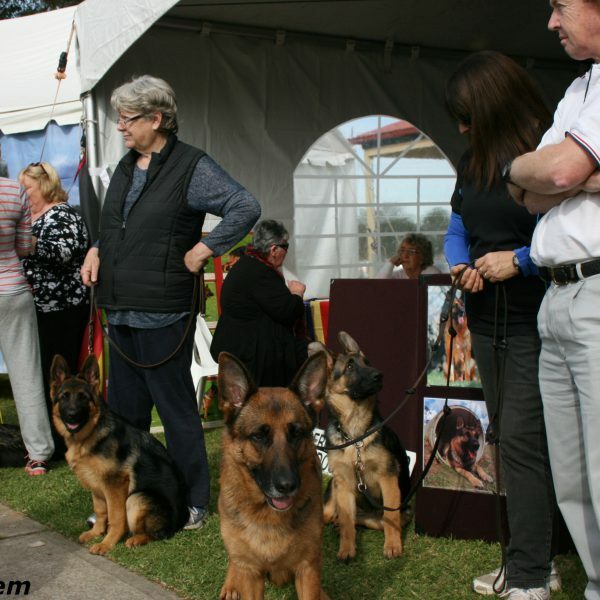 All dogs were great ambassadors of the breed mixing with the public and many other breeds. 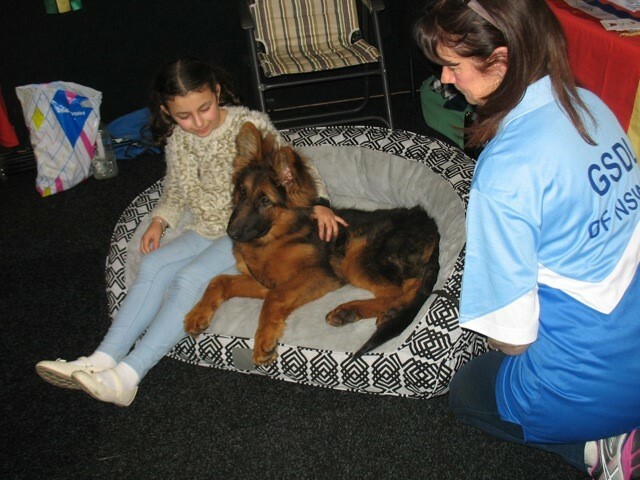 We had 4 half hour sessions throughout the weekend at Pat-a-Pooch where a German Shepherd was in with other breeds on a bed to be patted and cuddled. 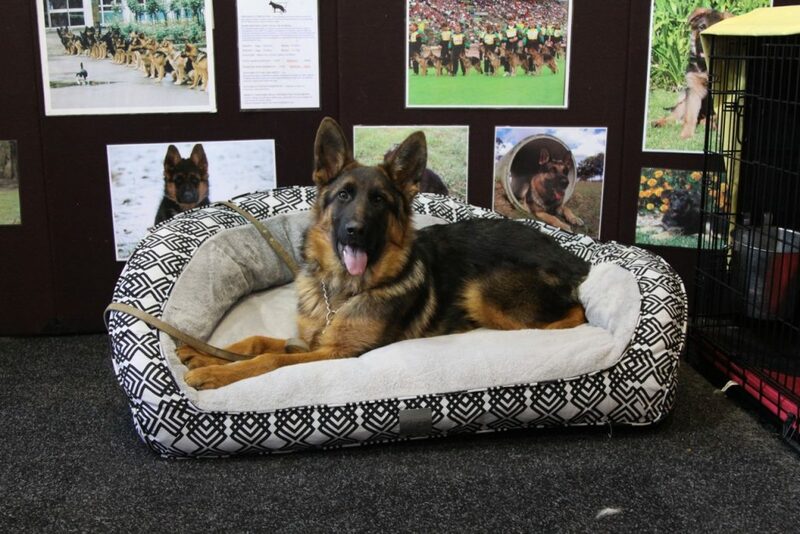 Thankyou to T&S Pet Supplies for donating comfy dog beds for our stall making it more welcoming to the public to be up close and personal with the dogs. 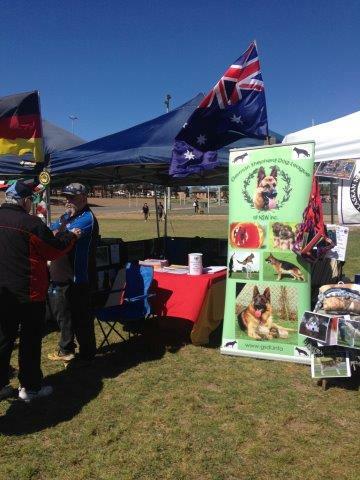 Thank you to Kathie Minton, Pam and Terry Jarvis for helping Graeme and I on the stall on Saturday with LSC Sundaneka Rio Grande and SC *Sundaneka Baileys On Ice AZ. 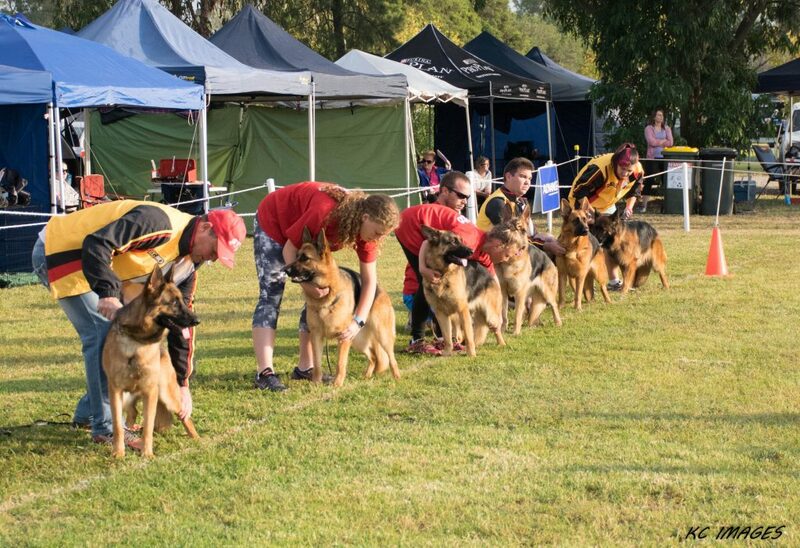 And on the Sunday Tony Darcy with SC Conkasha Black Spirit (Maverick), Yvonne Spek with SC Conkasha Montana Diva (Tana), Rod and Di Coppini with LSC Sundaneka Huggy Bear AZ and again baby LSC Sundaneka Rio Grande. 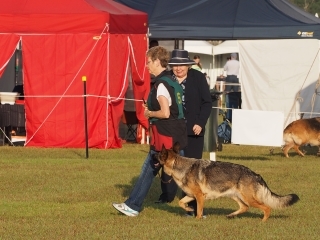 Many comments about the friendly nature of all the dogs. 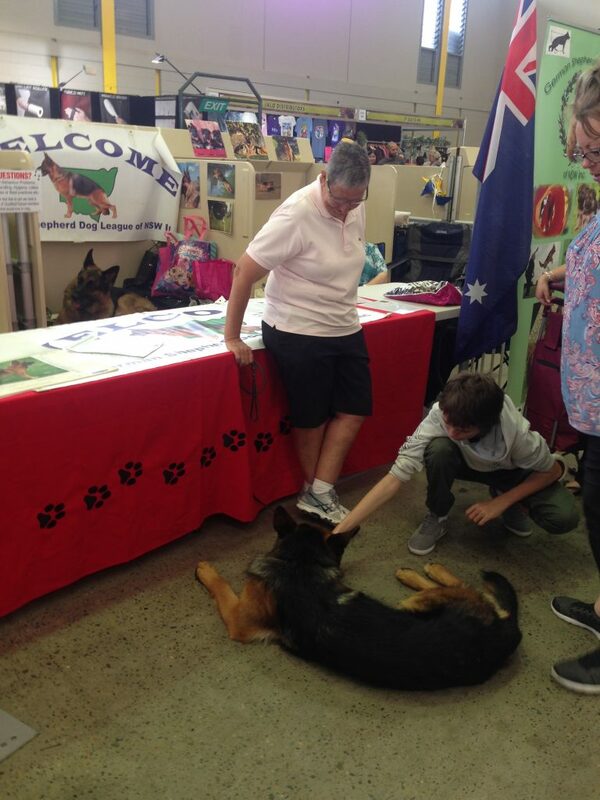 The GSD stand was very busy at all times. 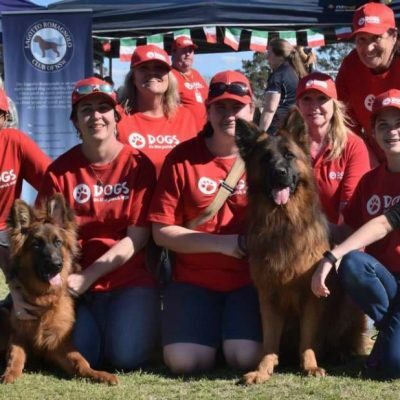 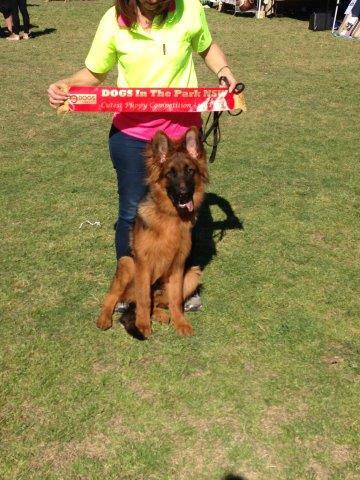 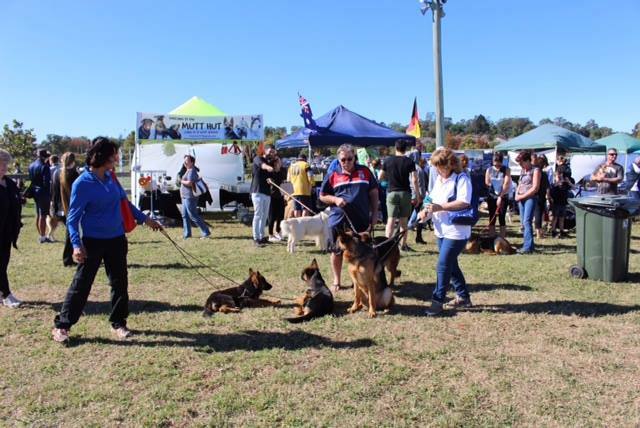 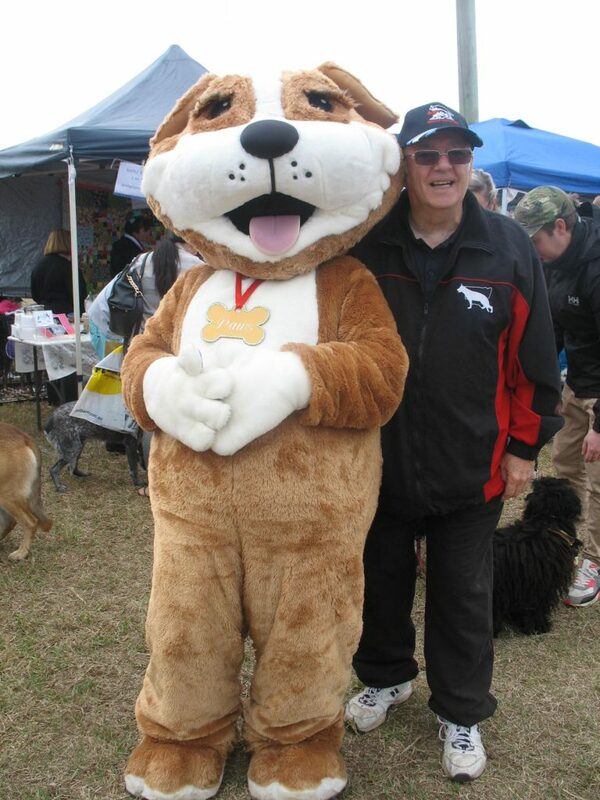 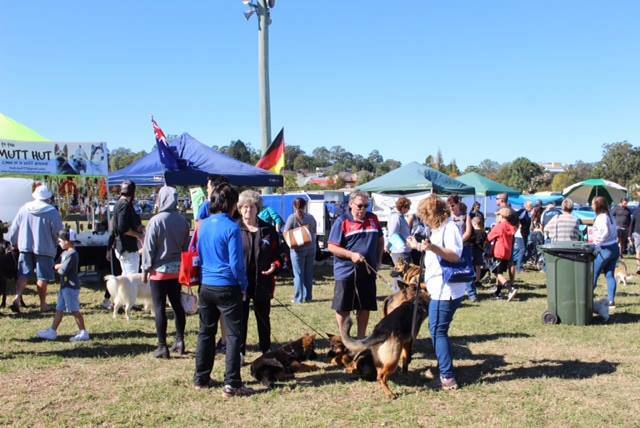 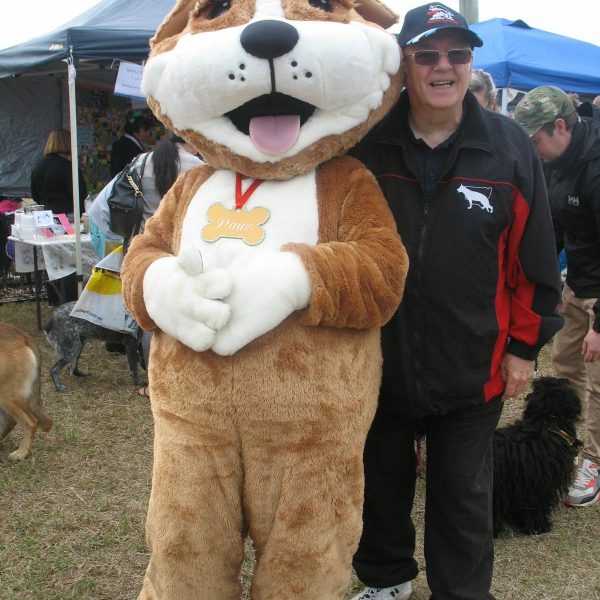 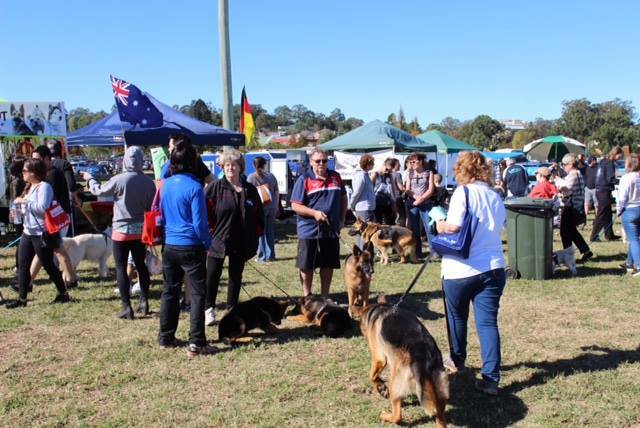 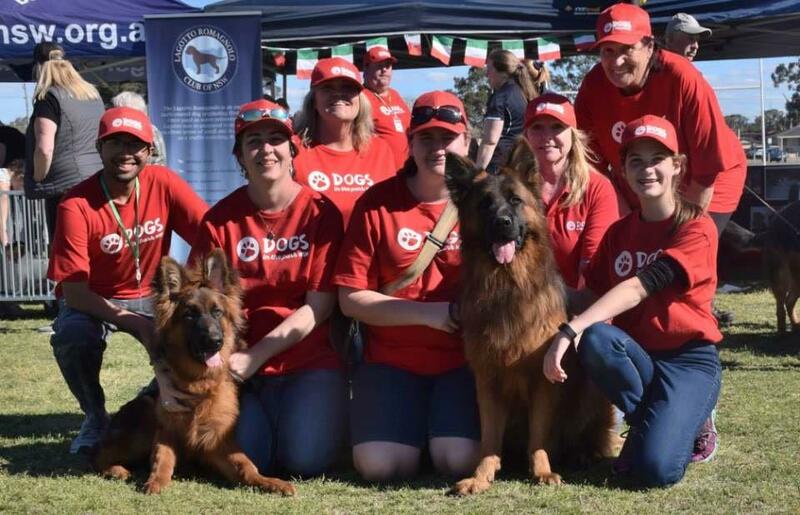 A very successful day at Dogs on Show on Saturday 16th June run by Dogs NSW and sponsored by Royal Canin. We were one of 6 stands that the public had to visit to collect a sticker for the $250 Draw. 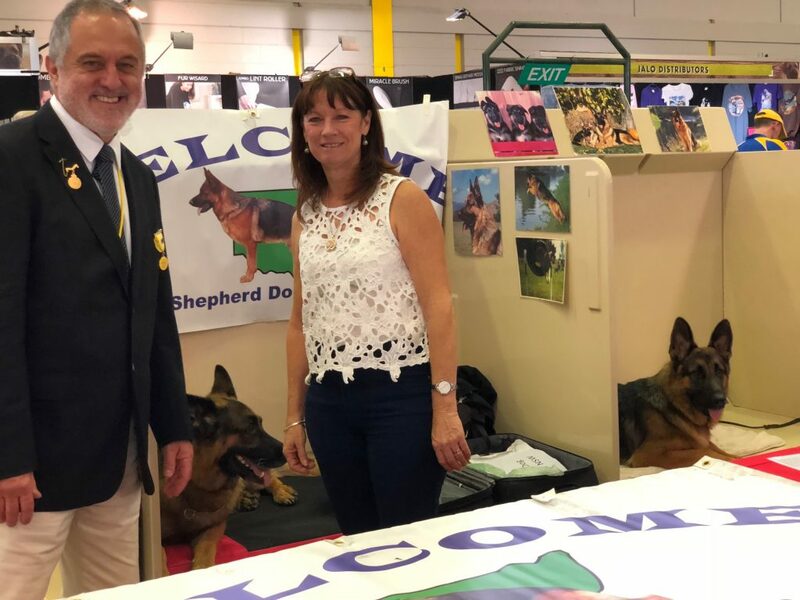 Thanks to Terry and Pam for helping on the stand. 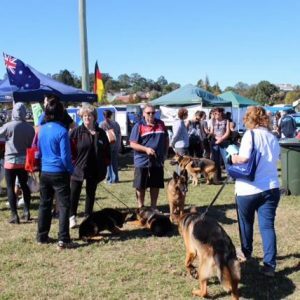 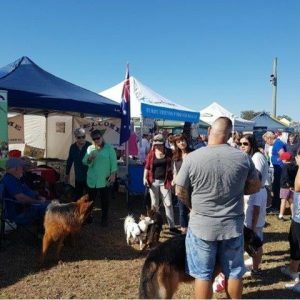 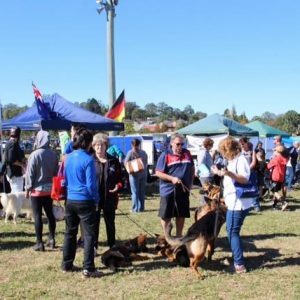 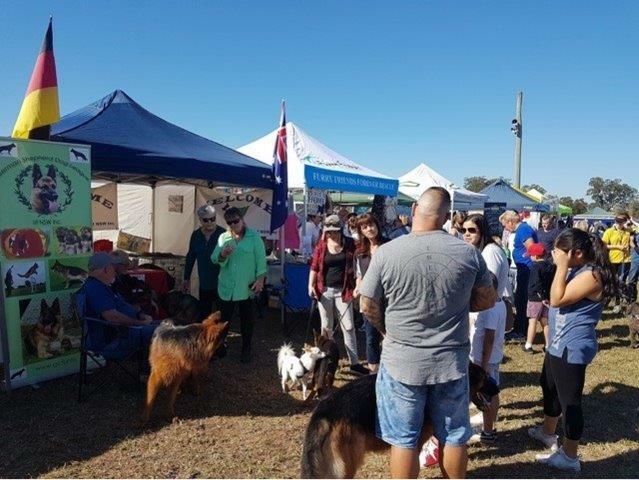 Thanks to Les, Marilyn, Tony, Rodney and Di for bringing their dogs out to socialise and to Teresa, Wayne and Deb for visiting the stand with their dogs. 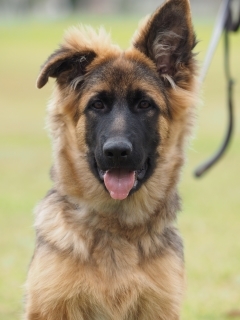 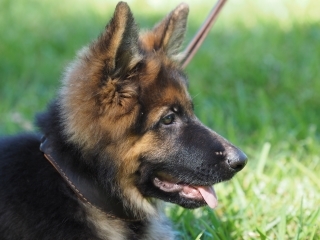 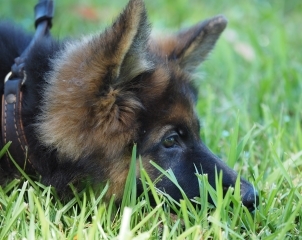 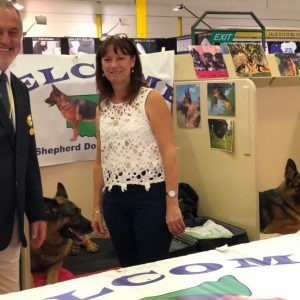 Enquiries were about joining the club and wanting to come to training for those who had just purchased a puppy and general questions on owning and purchasing the breed. 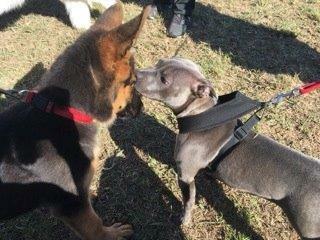 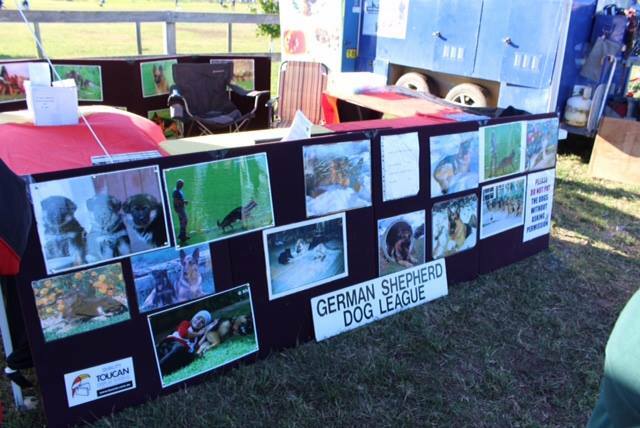 Paws in the Park was held on Sunday 6th May at Camden and was very successful exposing our breed and club to the general public. 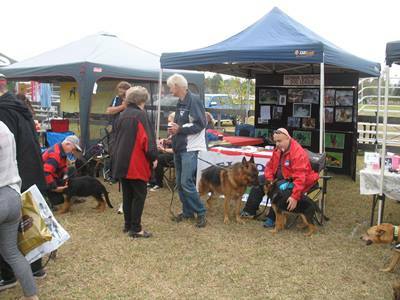 Thank you to club members who brought their dogs out to socialise. 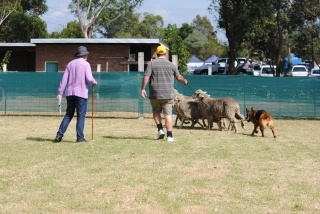 An excellently run event and most enjoyable. 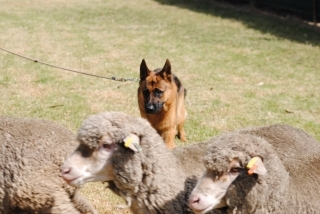 The dogs were excellent ambassadors for the breed. 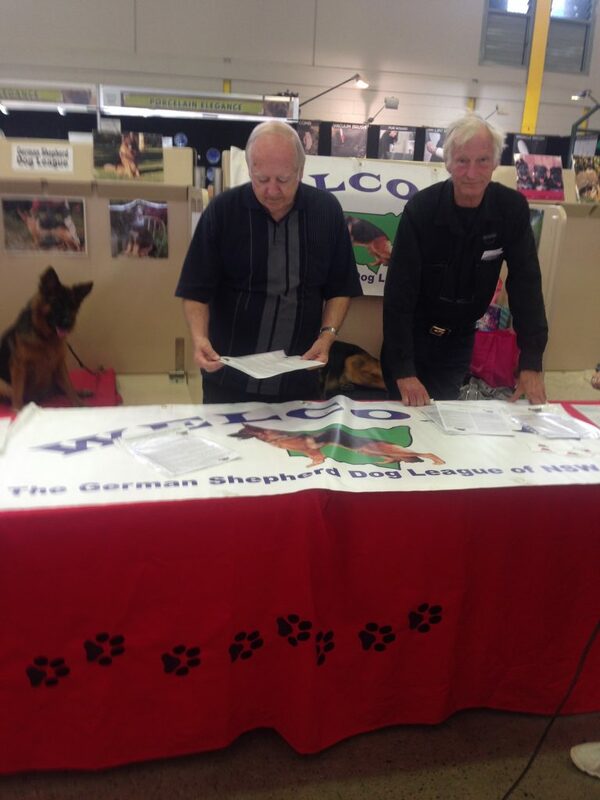 Many queries about training and the GSDL, membership forms and information sheets were handed out. 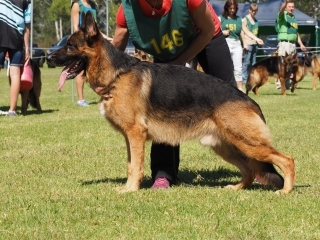 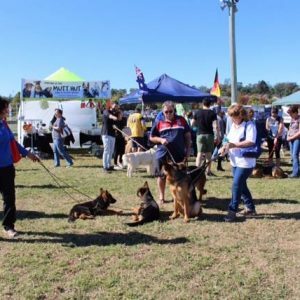 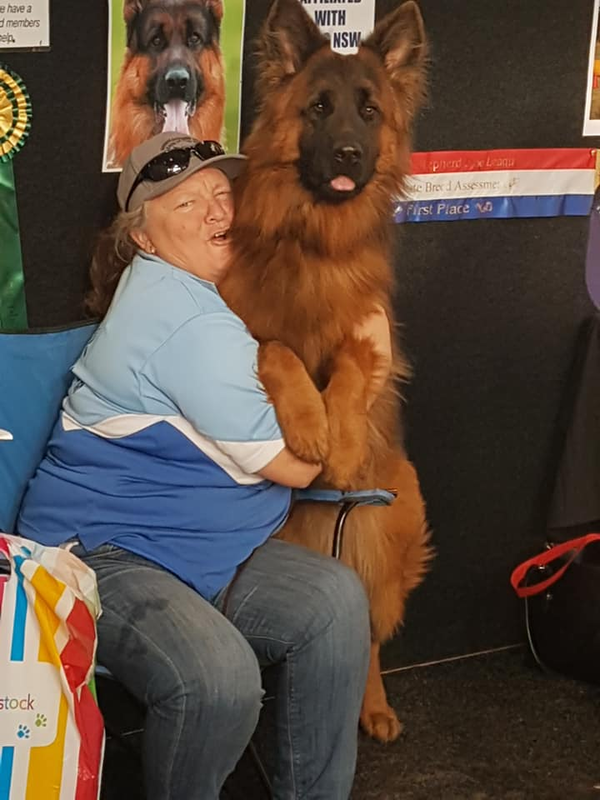 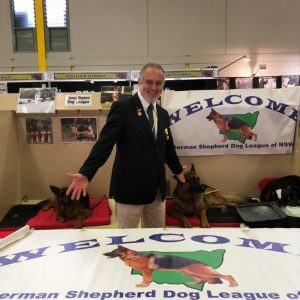 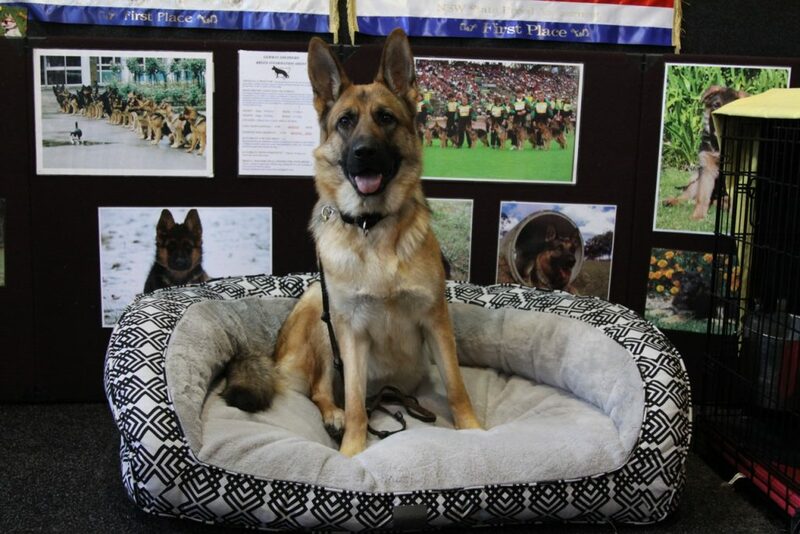 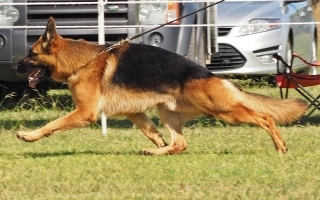 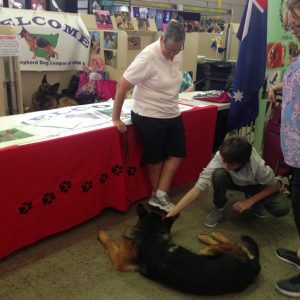 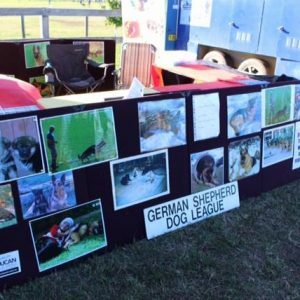 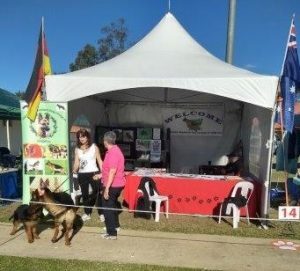 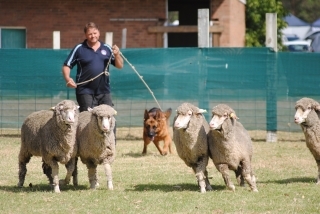 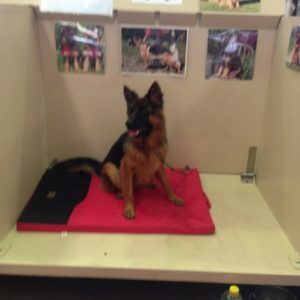 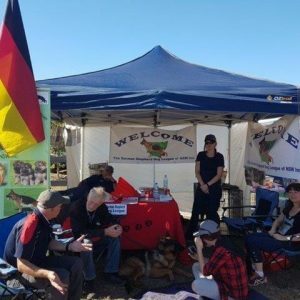 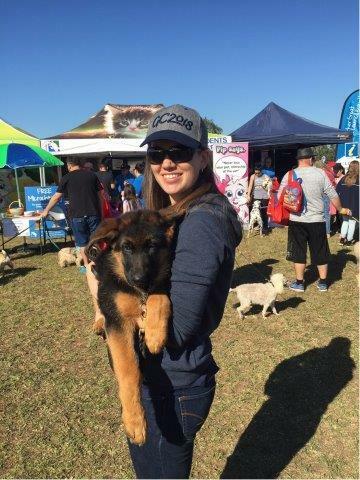 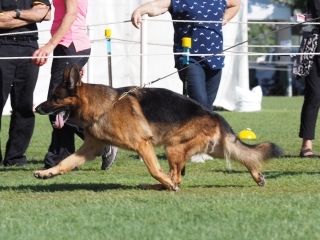 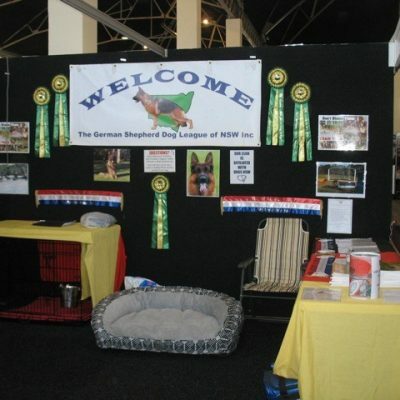 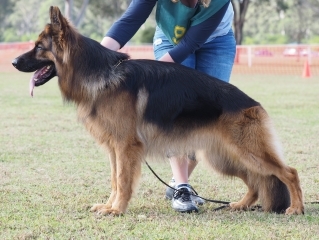 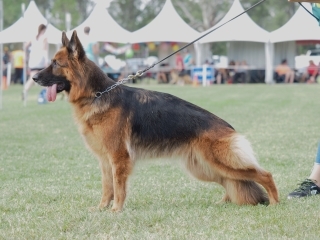 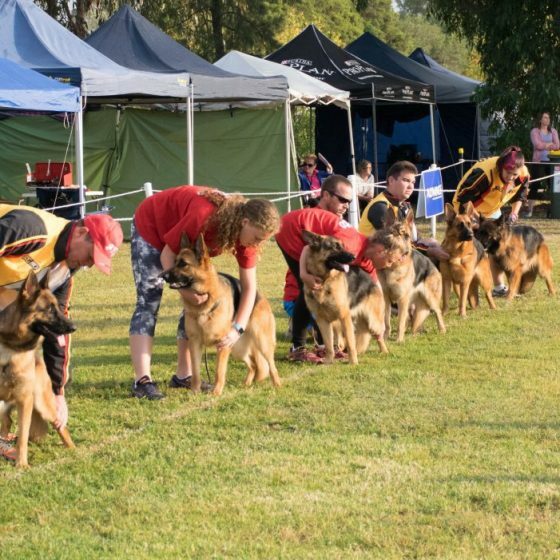 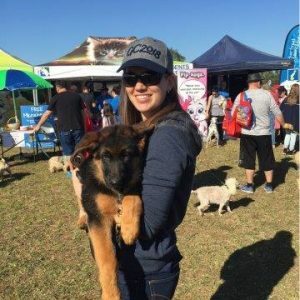 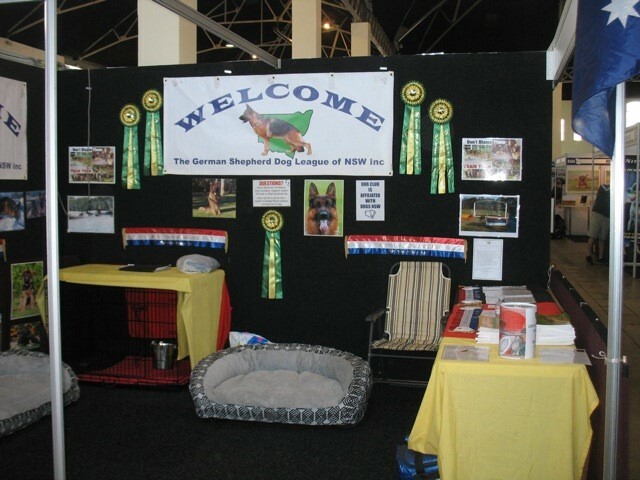 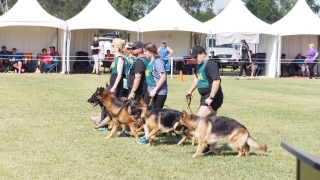 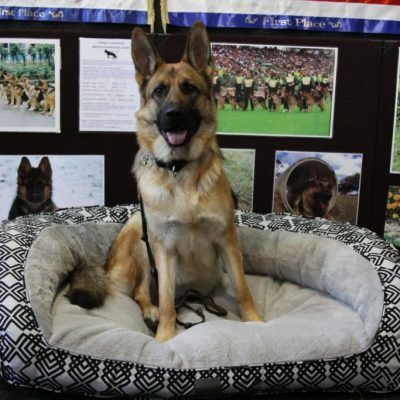 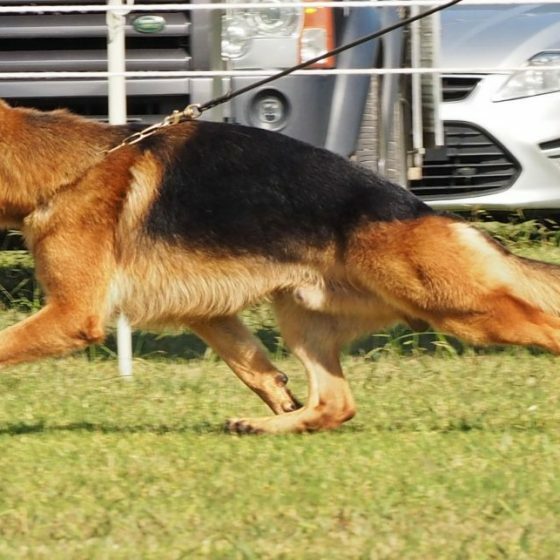 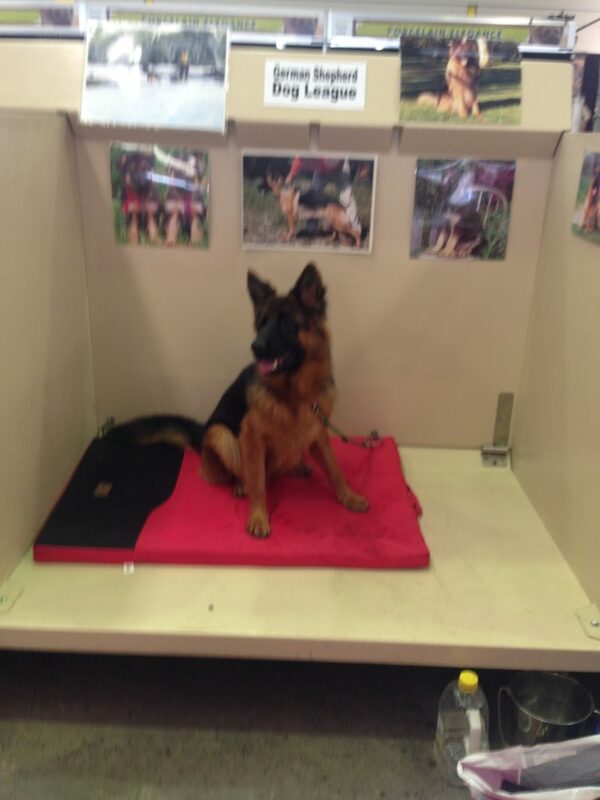 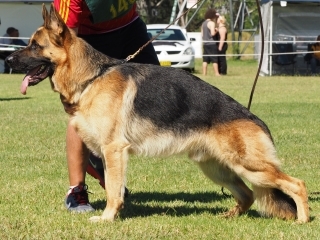 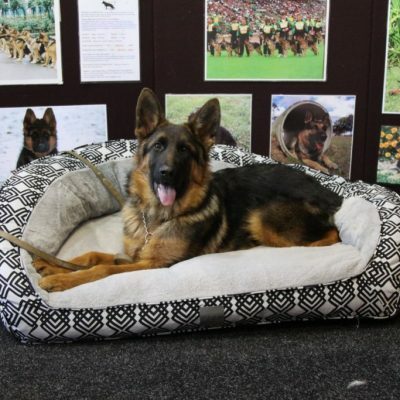 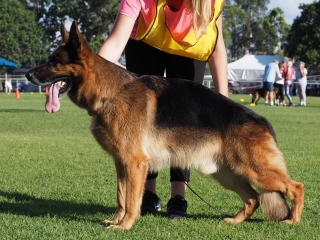 The German Shepherd Dog League’s breed stall at the Sydney Royal Easter Show on Tuesday 3rd April, 2018 . 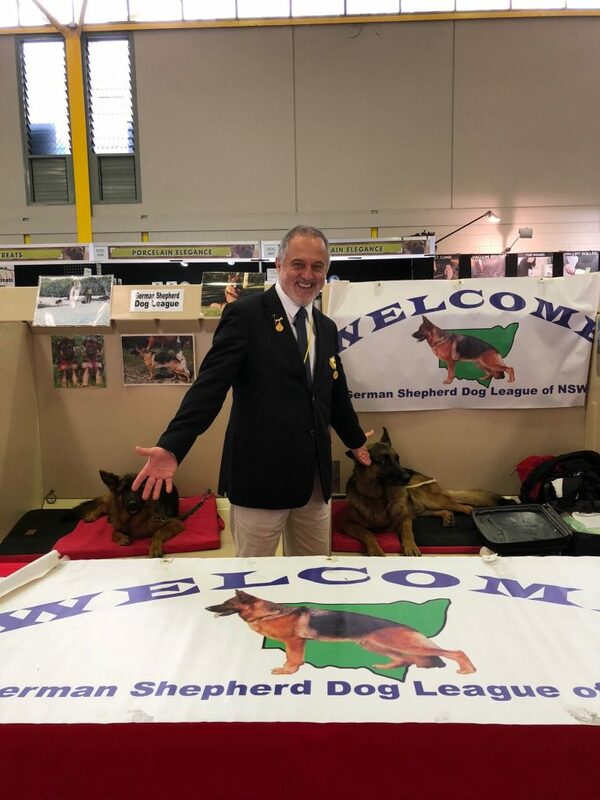 We had a surprise visit to say hi from the wonderful Dr Rob Zammit. 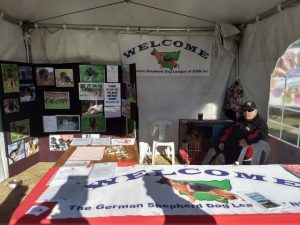 Vablo, Gus and Happy were excellent ambassadors for the breed socialising with the general public (babies, young children, people in wheelchairs).